The Kula Volcanic Geo-park, Turkey's first and a UNESCO-recognized park is becoming a worldwide attraction among tourists around the world. 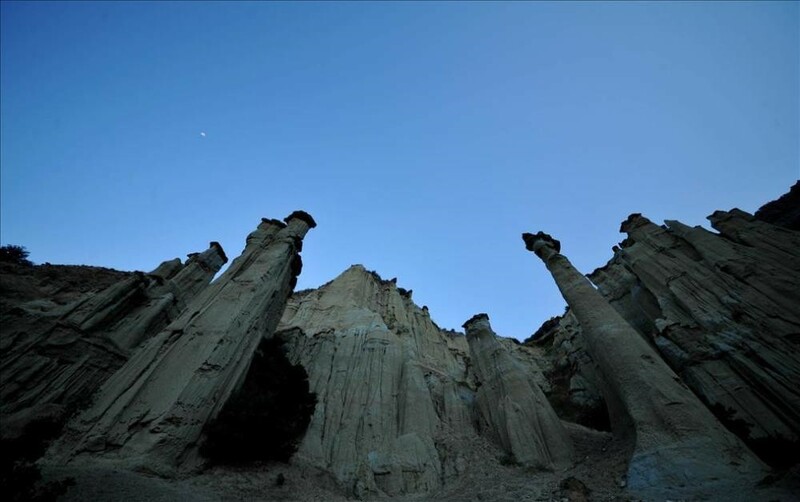 With more than 80 volcanic cones, fairy chimneys, carstic caves, canyons, rock tombs, rock bridges and historical houses, the town of Kula in Turkey's western Manisa province has various geological, geomorphic and natural heritage. In 2013, the Kula Volcanic Geo-park won the right to be among the world's most prestigious geo-parks at the 12th International European Geo-park Conference held in Italy. Specializing in ancient geography, Strabon's work titled, "Geographika" defines the area where the geo-park is situated as "Katakekaumene" (Burnt Lands). The park's area spans across approximately 300 kilometers and has been a major point of interest among both travelers and researchers from across Europe thanks to its natural, geological, cultural and archeological richness. Kula's pristine landscape, formed by centuries of volcanic activity, is home to the first lava tunnel in Turkey. There are footprints believed to belong to ancient civilizations here as well; namely those of an adult, a child and a dog, shedding light on history and the first documented evidence of dogs being domesticated by humans. These volcanic lands are known to have been very fertile; thus explaining why they were occupied by humans in the centuries both before and after Christ. The latest volcanic eruptions recorded at the site occurred about 12,000 years ago and some layers of volcanic ash here display fossilized footprints of prehistoric humans. 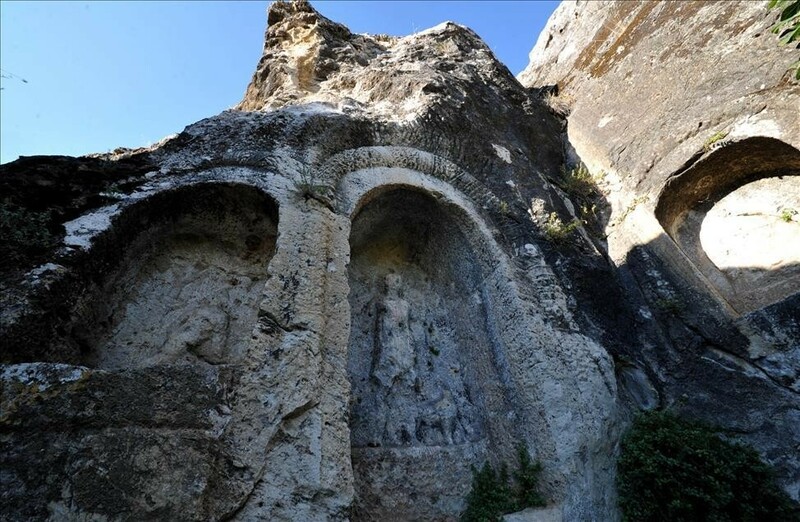 The Kula basalts are the only example of rapid uplifting of asthenospheric material in western Anatolia formed by the rapid southwestward movement of the Aegean tectonic plate spanning into Africa," UNESCO says about the area. According to the scientific studies, the volcanic cones which dominate the landscape date back to the Quaternary age. The Sandal Divlit in Kula, a 100-meter-high volcanic mountain featuring numerous geological and geomorphic formations is one of the youngest volcanoes in Turkey. The crater formed by the eruption of the Kula volcano 15,000 years ago is breathtaking for its volcanic rocks and natural life. 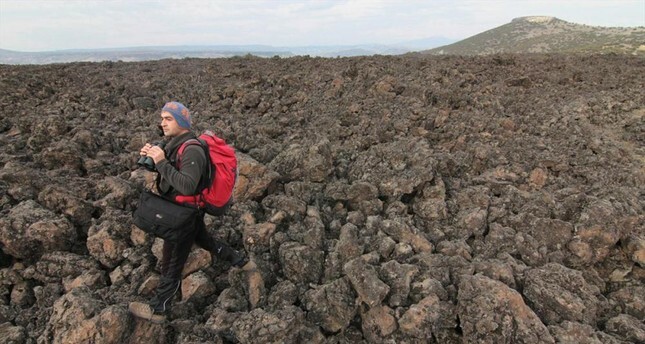 Erdal Gümüş, the coordinator of Kula Volcanic Geo-park, said in a previous statement that as Sandal Divlit is easy to access, it draws attention of various researchers and in this area various geological formations belonging to giant volcanoes can be observed. Research teams that want to visit Sandal Divlit, which is one of the 80 volcanic cones in the area and resembling a miniature volcano with its physical structure, can observe the volcanic rocks, caves, lava flows and natural life around it formed by the eruption that happened 15,000 years ago. The crater is full of volcanic rocks and over time, some parts of Sandal Divlit have been afforested and besides its natural beauties, other volcanoes and lava flows can be seen on the volcano cone. Gümüş also said that once hiking trails are built in the region, it will draw even more attention from tourists. He also said that the Kula Volcanic Geo-park is one of the most important of its kind, adding that a brief 30-minute walk will take you to the peak of Sandal Divlit where visitors can see a miniature volcano, lava flows and volcanic formations, saying: "It is possible to climb down to the crater with a guide to view the signs of eruption and observe the giant volcano rocks on the ground. How many people get the chance to watch the sunset on a volcanic cone?" He added that it is possible to take great photos at any time of the day here. Gümüş said that the Kula Municipality and the Zafer Development Agency (ZEKA) have been preparing various projects and Kula Geo-park and Sandal Divlit are one of the places to be visited in Turkey. Dating back to the Ottoman times, the Kula town has long been an important center for the production of, and trade in, a wide range of goods including carpets, leather and metal products. Geo-parks generally have a sustainable management that includes esthetics of local and international importance as well as geologic formations and local development plans which are made within the limitations of government-protected natural areas. Geo-parks, which were deemed a new preservation form in 2000, have also been accepted and protected by UNESCO since 2004. As of 2015, there are 64 geo-parks in Europe and 111 worldwide. 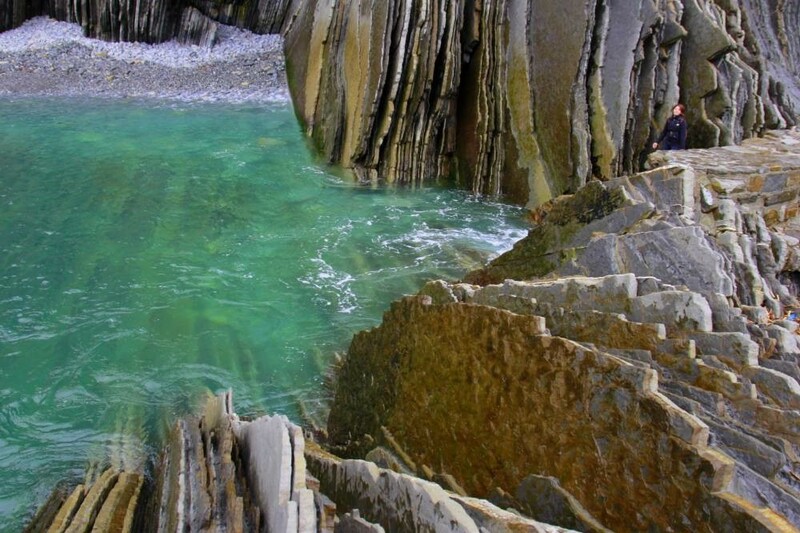 Geoparks have three aims; namely, education, preservation and to promote geo-tourism.